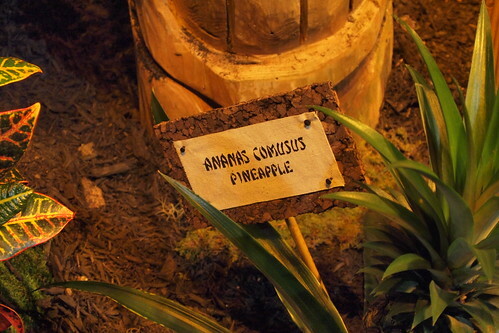 Pineapple's Latin (scientific name) is Ananas comosus, not Ananas comusus. This sign was seen at the Philadelphia Flower Show in 2012, which had a Hawaiian theme. Pineapple is an interesting fruit formed by many flowers around a leafy stem. By the way, comosus, means 'andundant with leaves or hairs' in Latin. In this case it might not matter much practically if the spelling is correct, but you can't look up the name and find more information about the species if the name is wrong, and in some genera you have many species with very similar names. Details and spelling matters in taxonomy, since the name functions as the place holder for information worldwide and is the key to the giant system of all living things. Without proper Latin names we wouldn't know what we are talking about, especially not across language and/or country barriers. 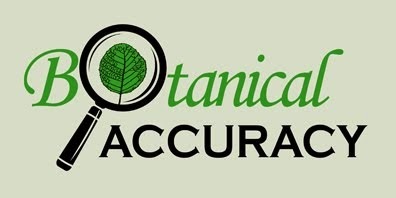 Latin names are our global RFID's for plants.